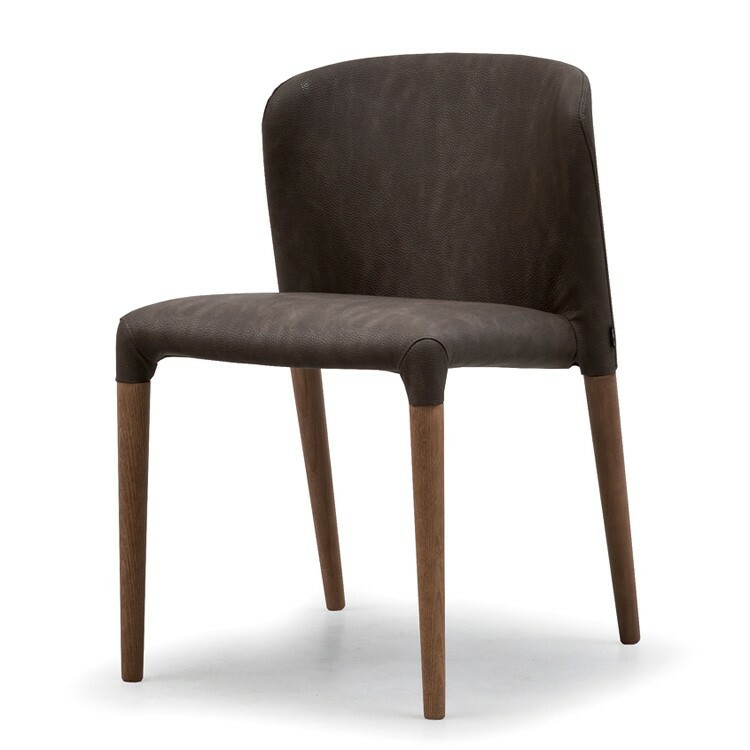 A curvy modern dining chair with a wooden frame, seat padded and totally covered in fabric or leather in a wide choice of categories and colors. 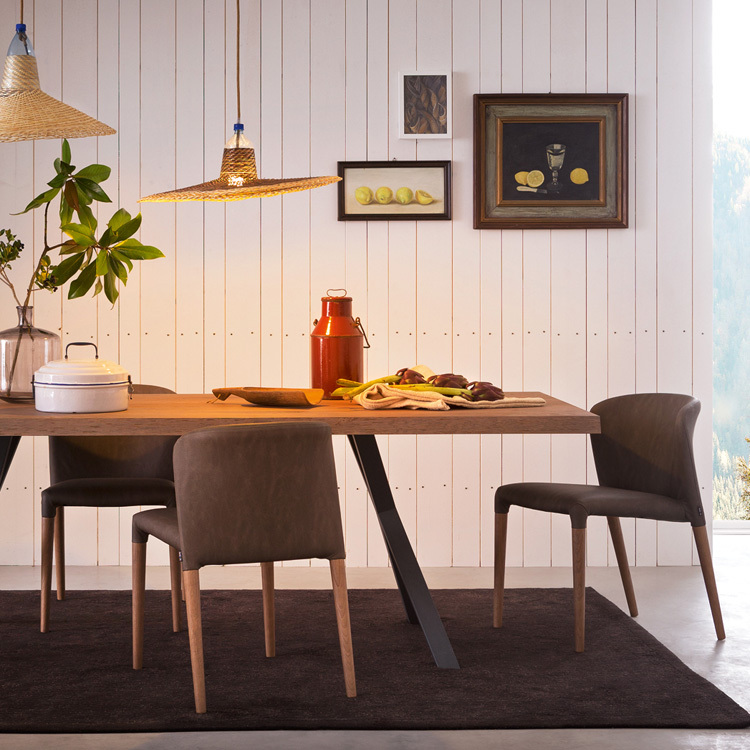 Legs available in a variety of matt colors or wood finishes. The fabric covers are removeable, the leather/ecoleather chairs do not have removeable covers.